Blade of the Immortal comes to an end After 19 Years » CosplayWith.Us - Cosplay, Anime & Japan news! AnimeNewsNetwork wrote today that the manga series Blade of the Immortal comes to an end after 19 years. Blade of the Immortal comes to an end after 19 years! So after 19 years, Hiroaki Samura is going to end the manga of Blade of the Immortal (Mugen no Jūnin) as of the February 2013 issue of Kodansha’s Monthly Afternoon. 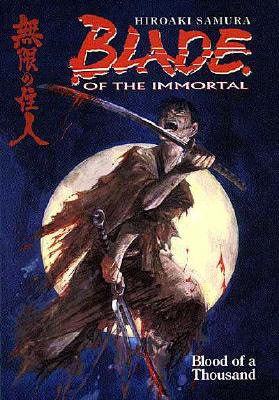 The manga Blade of the Immortal was launched in the same magazine in December of 1993, and its first 29 volumes have 5 million copies in circulation. The magazine’s November issue published the 216th chapter on Tuesday and also revealed that the manga will end on the 219th issue. Dark Horse Comics published the 25th volume of the manga in North America in August. The manga inspired a television anime in 2008, and Media Blasters released it in English.